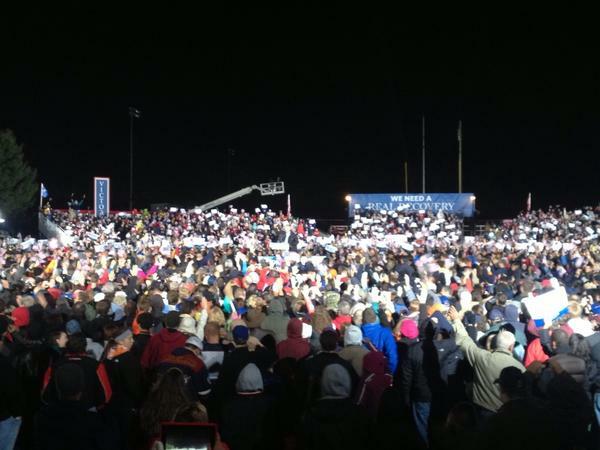 A huge crowd turned out for Mitt Romney and Paul Ryan at Hoover High School in North Canton, Ohio, Friday evening. 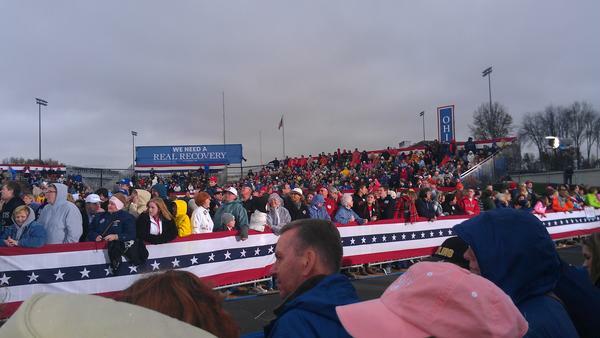 Even wet weather and frigid temperatures couldn’t keep thousands of energetic supporters from lining up to see the GOP candidates speak in the crucial swing state. 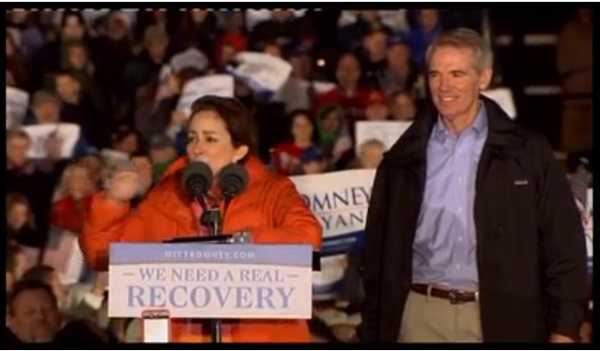 The Oak Ridge Boys warmed up the freezing crowd and actress Patricia Heaton bundled up to introduce the candidates. Big football Friday crowd freezing through endless warm up acts waiting for Romney/Ryan at North Canton Hoover High School. Mitt Romney in North Canton, Ohio: "I don't understand how a college kid could vote for President Obama." 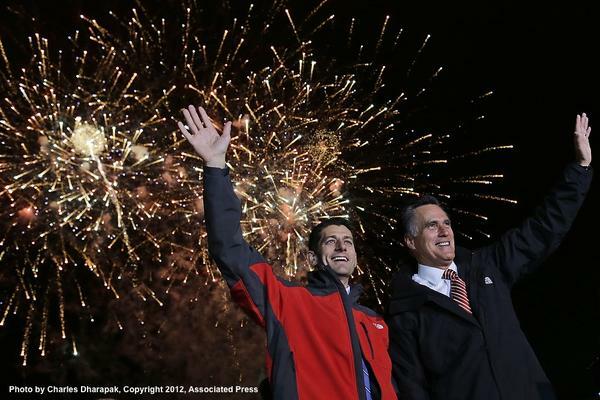 Romney: Obama campaign is out of ideas and out of excuses. Romney: President has chosen to make election about Sesame Street characters and word games. 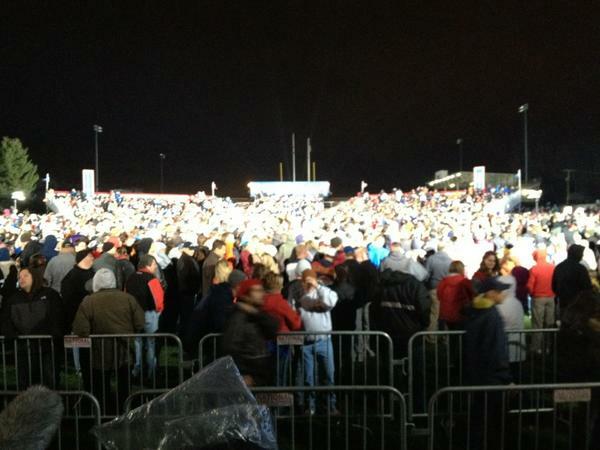 Ryan in N. Canton: "It is in your hands. And you know what? We trust you. We know that Ohioans are going to do this." 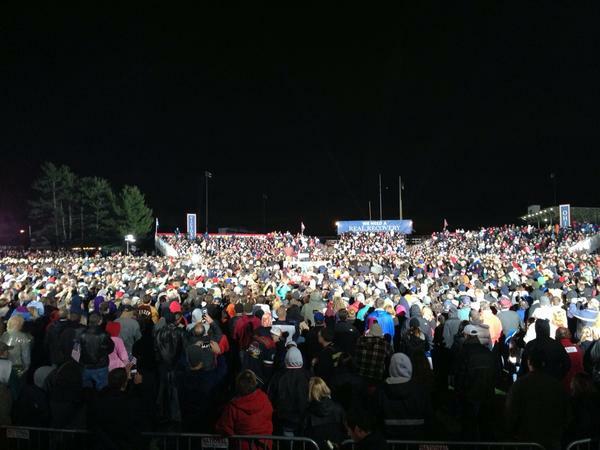 Like Ryan, the Ohio crowd was confident that Ohio is Romney/Ryan country. 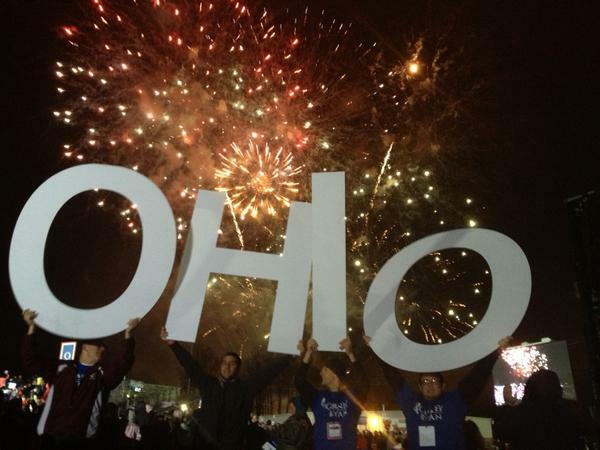 And hey, look, Romney supporters got the letters in the right order.